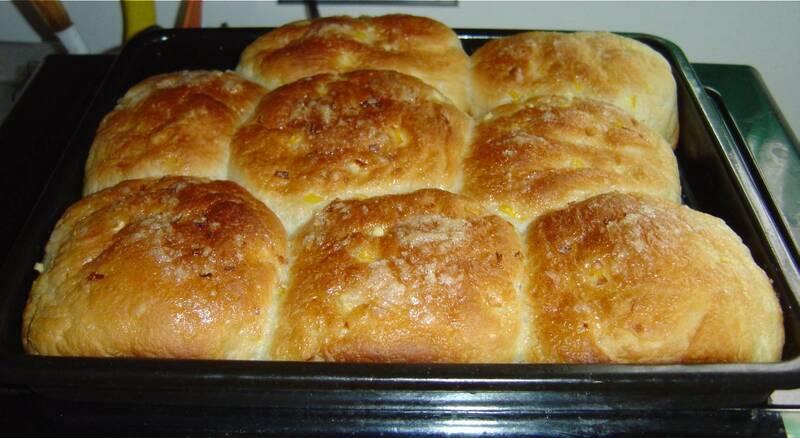 My Lemon Sweet Rolls with Lemon-Sugar Coating are delicious! If you want to sweeten your day, these raised dough lemon sweet rolls with lemon-sugar coating certainly does help. The aroma of them baking in your oven is enough to put a smile on your face as you impatiently wait for them to finish. You can make this recipe ahead of time and store in the refrigerator until needed. Mix thoroughly 1-1/4 cups flour, 3/4 cup sugar, salt and the undissolved dry yeast. Add oil. Slowly add the hot tap water. Beat with your electric mixture for a few minutes until well combined. Add eggs and another 1/4 cup of flour. Continue beating and scrape the sides of the bowl. Now stir in more flour gradually until it becomes a soft dough. Knead on a lightly floured surface for about 5 minutes until pliable. Divide dough into 3 equal parts. From each part, you can make 8 balls. 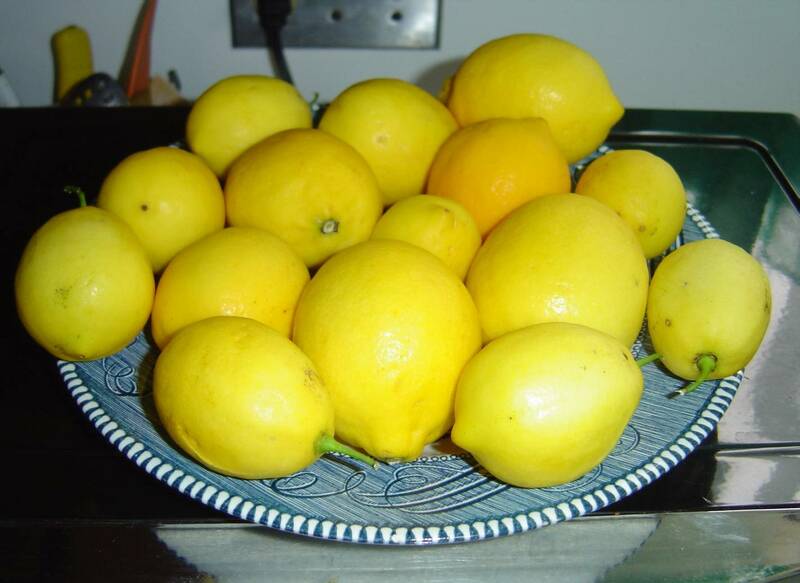 Roll each ball into the melted margarine, then dip into the lemon-sugar coating on all sides. You can cluster them in greased 8″ round cake pans or any size you want. I need to use the 15″ x 10″ x 2″ pans due to limitations of still baking in my toaster-oven! If using stainless steel or glassbake, you can store this in the refrigerator covered with plastic wrap and foil overnight, if desired. Or you can finish letting it rise after you make the sugar-coated dough balls. Let the dough balls rise in a warm spot for about 2 hours until doubled before baking. Bake at 350 degrees for about 25-30 minutes. Mix together in a bowl and set aside until ready to use to coat.